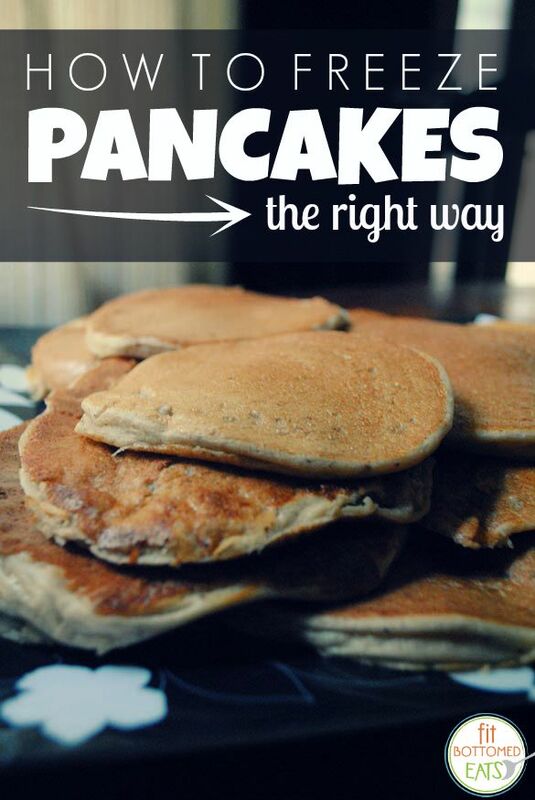 How do you freeze pancakes? It seems kind of like a silly and, quite frankly, simple question. Um, you just put them in the freezer, right? Nope! 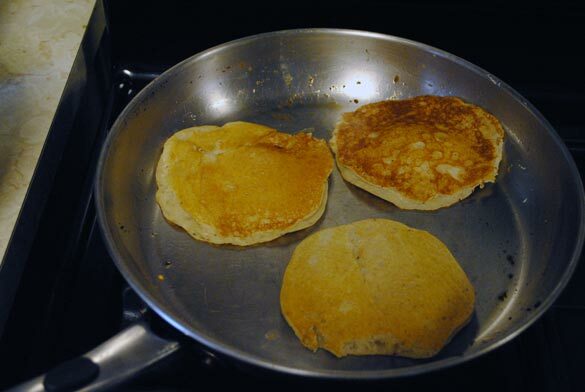 Believe me, if you cook a batch of pancakes and just throw them all in a freezer bag, you are going to end up with what I like to call “pancake cake,” where each single pancake morphs into a single incredibly thick and giant pancake. In theory it sounds delicious, but when you’re reaching for just one or two, it’s kind of a hot — or, in this case, cold — mess. 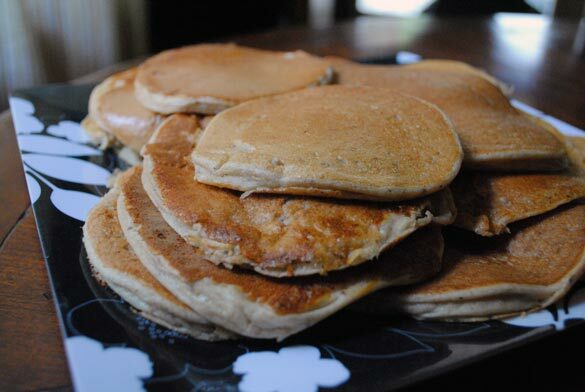 So, in an attempt to do it better — and because having pancakes (especially protein pancakes!) frozen and at the ready for quick breakfasts and snacks is everything — I’ve put together a short guide. It’s basically just one extra step … plus a little planning. And it’s totally worth it. Step 1: Cook a crapton of pancakes. 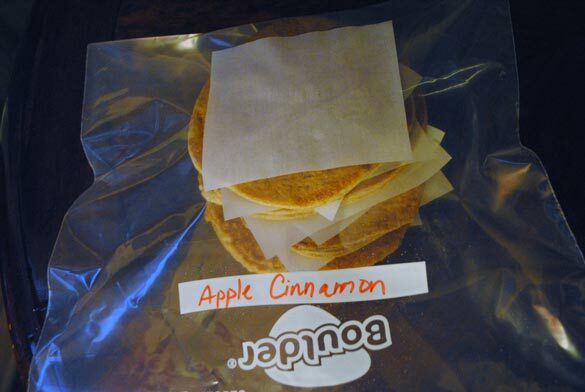 Step 3: Make a stack of pancakes with some parchment paper between each one. I forgot to date these. Don’t do that. You think you’ll remember, but you won’t. 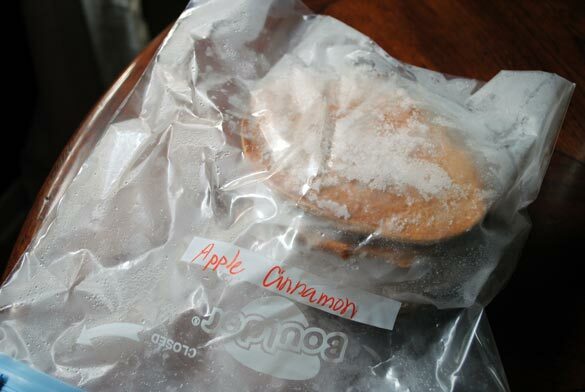 Step 4: Put in a freezer-safe container, note the date and what type of pancakes they are, seal and freeze. Step 5: When ready to eat, simply take out as many as you want, pop in the microwave for 1-2 minutes and EAT! We don’t have a microwave. Would a toaster work, like waffles? Or maybe best to heat in a skillet?